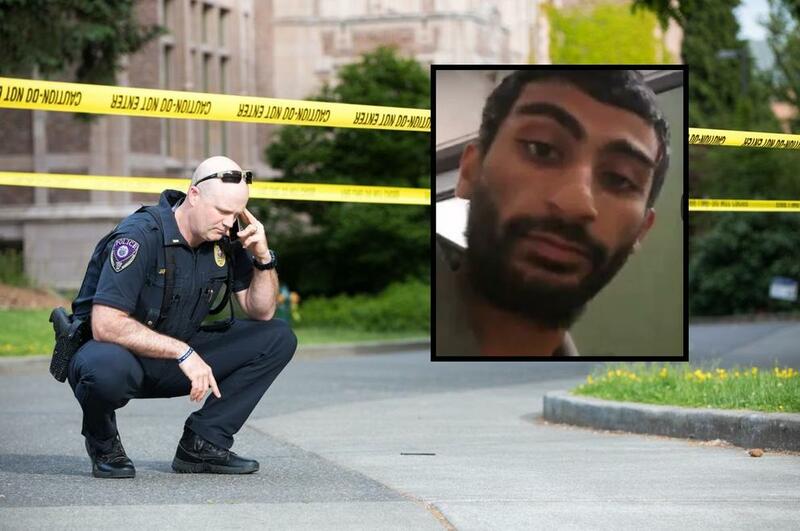 A YouTuber named Arab Andy isn't the brightest person at University of Washington and he proved as much Thursday when he walked into the college with a recording that said, "Attention, attention, attention," then there was a long gap and it said, "C4 device activated, the countdown has begun." Not even a second later the crowd of people near the YouTuber began fleeing for the doorways and screaming all the way down the halls as air raid sirens went off. The fake threat was confirmed by the Seattle Fire Department which said the campus had been sealed off until the threat was taken care of. The YouTuber recorded the entire "hoax" which ended in his arrest. So far no communication has come from Arab Andy since his stream cut to black after his arrest. A sociology faculty member who was near the threat in Savery Hall said, "We were in a reception in our conference room … listening to our chair talk about our year’s worth of stuff … then this man, who was about six foot one comes in the doorway and says ‘I’m sorry I’m late,’ and I didn’t recognize him, so I say are you supposed the be here … then he didn’t really say anything but then he pushed a button that said, "Attention, attention, attention" then there was a long gap and it said, "C4 device activated, the countdown has begun." The scene sounds more like something out of a Family Guy episode or a staged prank TV show, but Arab Andy found it quickly that the threat was being taken very seriously when he was taken down a gunpoint. The suspect in the incident has an online following which donates to his live stream. Whenever a donation with text is received the computer reads the text allowed which is audible to those around him when he is streaming. Arab Andy appeared completely oblivious to the serious nature of calling in a fake bomb threat on a college campus. When officers approached him with guns drawn and asked him to get on the ground he responded, "You’re going to arrest me for nothing bro. Come on stop, bro. That’s not fair bro. Bro? Bro stop. Listen, bro. I’m sorry, listen bro. This is, like, assault, bro. This is a YouTube live stream bro. It was a donation. It was a donation to media. Somebody donated two bucks and it played some ****." Remember when the Liberals and Open Border crowds were telling us these Muslim Immigrants and students needed extra help. That they were here fleeing the radical types and were the Peaceful Muslims? Well as we have learned the peaceful types are quickly subverted by radical leaders that filter in to the USA. Remember when Liberals BLINDLY jumped in mass at their leaderships calls to support Muslims/Islams, despite the basic Customs and Practices of Islam being VIOLENTLY conflicting with a majority of Liberal Agenda supported main issues? Were was the Feminists, Liberal voices demanding Equal rights, and speech? Remember there are basically 7 Steps Islam follows, from toe hold to Control. An some American States are already at the latter steps like Minn. is today. Really wished he got tasered. Probably had to pluck his eyebrows to not look like a Neanderthal. Same intellect as one though! Forgot to add , if you believe in that sort of thing.